Today we celebrate the Memorial of the Guardian Angels. There are two main categories of angels, those who have fallen and those who have given themselves over in obedience and service to God. According to St. Thomas, each angel forms his own unique species. Here are a few interesting facts about angelic beings. 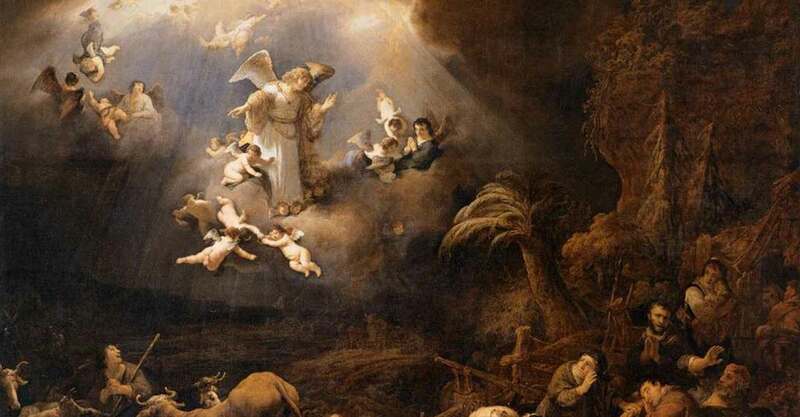 In our gospel for today, we hear Jesus speak about the angels who watch over God’s children (Mt 18:1-5, 10): “See that you do not despise one of these little ones, for I say to you that their angels in heaven always look upon the face of my heavenly Father” (excerpt). The Catechism also has other interesting information about the angels. There are two main categories of angels, those who have fallen (Satan and the other demons) and those who have given themselves in obedience and service to God (such as the archangels and our guardian angels). St. Thomas Aquinas has a corpus of teaching on the angels (the word angel means “messenger,” and refers to the office these spiritual beings are given by God. Their nature is spiritual, as St. Augustine noted and the Catechism points out). St. Thomas taught that each individual angel forms a unique species. For example, think of the difference in species between an elephant and a mouse. Angels, of course, are non-corporeal, personal beings—they don’t have physical bodies, so the analogy is not very useful here. Although angels do not have bodies, they can appear in human forms as we find indicated in various places in Scripture. It is not clear how, exactly, they can do this. Angels are spiritual beings created prior to the creation of man and gifted with exceedingly powerful intellects and wills. Due to their infused knowledge (implanted in their intellects by God at the moment of their creation), as opposed to human knowledge that is learned slowly over time through experience, angelic intelligence far surpasses human intelligence. If one were to compare a human child to an adult, it would be an exceedingly inadequate comparison of the difference in intelligence between a human person and an angel. Because of their spiritual intellects, they are not prone to such things as memory loss with age as are human beings. Additionally, an angelic will does not waver between choices, first choosing something and then later dismissing that choice in favor of something else. The angelic will remains fixed on God and the good or, in the case of demons, in opposition to God and in favor of evil. When an angel sets his will on something, it is a permanent choice. This is made possible by their immense intellectual knowledge as well as their powerful, angelic strength of will. We do well to pray daily to our guardian angel in thanks for his service in our lives that is directed toward the attainment of salvation in Christ. Our guardian angel is indeed a powerful ally who assists in defending us against evil. Conversely, because of the exceedingly great intelligence of the fallen angels (demons and the devil) whose activities and intentions always remain vicious, we would do well to carefully avoid all contact with them or any situation which may give rise to inviting them into our lives. They are not to be toyed with. One must never give them permission to interact with us through such harmful activities as the use of Ouija boards. We should never entertain a disordered interest in them such as is found in attempting to contact them or gain some advantage over others by employing the use of their powers. The fallen angels never intend to benefit us in any way. On the contrary, their intention is always destructive. 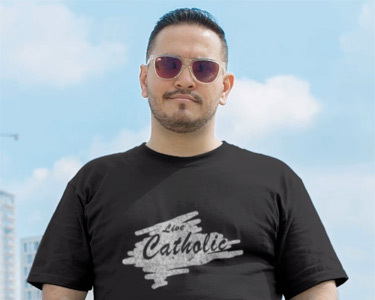 The best remedy against the diabolical influences of the fallen angels is to live one’s life in Christ and in full communion with the Church, receiving frequently the sacraments, especially the Eucharist (worthily and in a state of grace). Photo Credit: Govert Flinck [Public domain], via Wikimedia Commons.